At the conclusion of the magnificent finale of Miss World Iceland 2017 (Ungfrú Ísland 2017) held at the Harpa Concert Hall and Conference Centre, Ólafía Ósk Finnsdóttir has been crowned as Miss World Iceland 2017 and she will now represent Iceland in Miss World 2017 contest to be held in China on 18th November 2017. 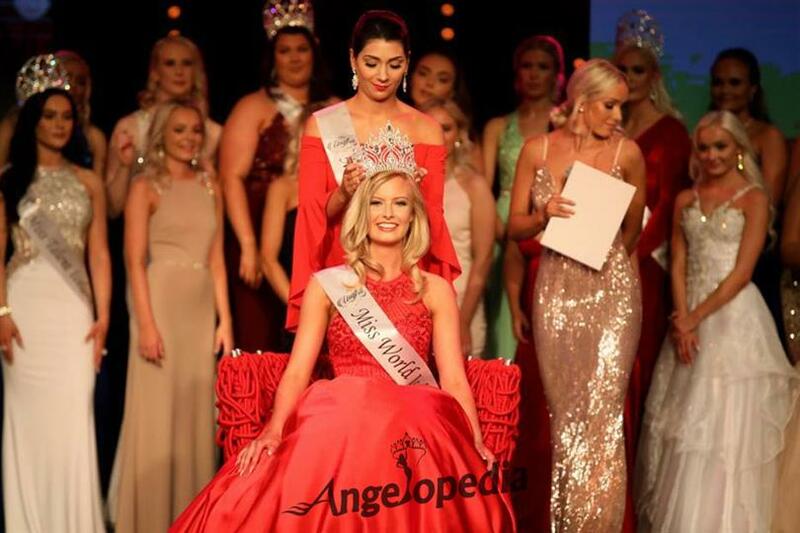 She defeated 23 other finalists competing for the title to take over the reign and the crown from Anna Lara Orlowska, the Miss World Iceland 2016. At the same event, Stefaníu Töru Þrastardóttur won the award for Miss Popular, Fanney Sandra Albertsdóttir was awarded the title of Miss Talent and Hrafnhildur Arnardóttir received the title of Miss Sports. The 19-year old Ólafía works in Iceland Air's passenger service and wants to set up her own company specializing in fashion designing. She also wishes to go to Tanzania and work with children. Just after her victory, Ólafía posted a thank you note on Facebook with her picture saying, “On Saturday night I was crowned Miss Iceland in 2017. I am excited to deal with the projects that will be waiting for me this year. But I wanted to thank everyone who came to Miss the Iceland process this summer for all the help. I also want to thank my family and friends who have been close to my back and of course, my boyfriend, Ásta Björk Bolladóttir, my private coach, has also shown me invaluable support in through the whole process”. At the end, she also thanked her friends Anna Lára Orlowska, Anita Ösp Ingólfsdóttir, Donna Cruz, Hulda Margrét Sigurðardóttir, Arna Ýr Jónsdóttir who participated with her in Miss Iceland 2017. It would be interesting to note that Iceland has won the Miss World title three times - in 1985, 1988 and 2005.